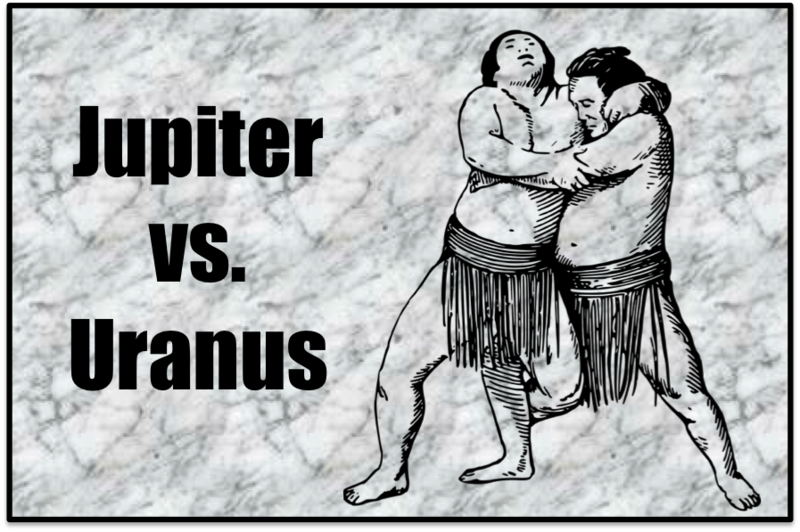 Jupiter in Libra is opposing Uranus in Aries today. Exact. I was taken by the phrases “spotting the phony” and “whole hog” in my DayWatch calendar. This is a time when large-scale efforts and the best of intentions can suddenly change, go awry, be shot down, or get reborn. Not just for you, but for everyone around, so keep that in mind before putting all your eggs in one basket. It’s a time of discovery,not so much from new revelations but from uncovering what was wrong, popping the over-inflated balloon, spotting the phony. If it looks too good to be true, it probably is, and the profit goes to the one who finds it out first. The same can apply to your heart, where promising more than can be delivered is a distinct possibility, and its revelation can come as a shock. Use normal precautions and get confirmation before you go whole hog. Whole hog. One thing Jupiter loves is anything whole hog. Uranus isn’t especially delighted with holding back, either. It made me think of sumo wrestlers. I wonder what the world stage will present to us. Scary to think about. Pluto in Capricorn also turns direct today. That gives us a bit of a power surge to deal with whatever phony we find lurking about. And then tonight, the Capricorn Moon conjuncts that forward-lurching Pluto. Capricorn doesn’t normally blurt things out, but when he does … oh, boy! It’s not easy to hear, especially if those repressed Capricorn feelings have reached their limit in the pressure cooker. It will change your world, I guarantee it.